In a life one holds many dear memories, long lasting images and moments of marriages, deaths, separations, and friendships built and broken throughout the years, yet no memory, no matter how important or life affirming it is, may compare to the potency of the memory of food. Memories of food are recollections which one can recreate whenever one wants in one’s own kitchen; you get to shop for the food, cook it and eat it. It is the most sensual of ways to remember, to relive a memory whose images, joys and tears might have faded with the years, but the taste of the food will still be fresh and vibrant, the scent new. A moment no one can take away from you. This is why recipes must be treasured and passed down, they are the only legacy, or the only honest one for all it matters. Everybody lets his guard down when it comes to food, no one minds being honest about what was cooked in the pot and the taste and smells are undying. Food history is the only true unforgiving of all histories, it lets us look at those moments of vulnerability when the guard to keep up appearances is down, it is indeed a thing of great beauty. Writing about it is cathartic and will help find the truth the roots, if I may, of a lifelong obsession that started so early on; a journey of people catching up at dinnertime, eating together. Immense happiness and tenderness. Marble floor so cool and comforting in the sweltering heat of Maltese summers, barefoot walking. Easter time may equal Easter eggs and chocolate bunnies to a lot of people, but for me Easter always evokes visions of my grandmother slaughtering a magnificent sea turtle in our courtyard, blood gushing out on the gray marble floor, the weather already too warm to bear the direct sun rays, making the blood dry in beautiful streaks of red, like a dance reaching my toes staining the tips with vermillion for days. Although for a lot of people this may seem gruesome and not fit for a six year old to see, I only remember the laughter and my grandmothers beautiful singing voice, the instrumental shell sound cracking open, revealing the soft flesh, the flesh that will be cut in bite size chunks and cooked for so long in fresh Mediterranean tomatoes until they melt. Easter. Bliss. Most people brought up near the sea will tell you that catching fish, gutting them and frying them off in a pan of oil, eating the thing while still breathing sea air is the best feeling in the world. Even the least appreciated of fish like the Herring, or spider fish for the British, and the ugliest of all fish; the Scorpion fish of the Mediterranean so ugly in face but oh so sweet of flesh, the game, the courtship with this ingredient that a few minutes before was still swimming free is just magical and makes you realize how lucky we are for the position we hold in the food chain. Do the small things well and good things will follow, the small things are overlooked so often it is so easy to expect the opposite, but the end result will never be good, not even satisfactory if you start by rushing things Soil and Spice is about allowing for time, to recognize that if you do not want to dedicate proper time for a task you might as well not do it at all, everyone reading this will say that this is obvious, so obvious that in fact it did not require to be even written. But it does. Allow time to think about food, become consciously hungry. Most of all allow time to cook and prepare the ingredients properly, with the love and respect they deserve. 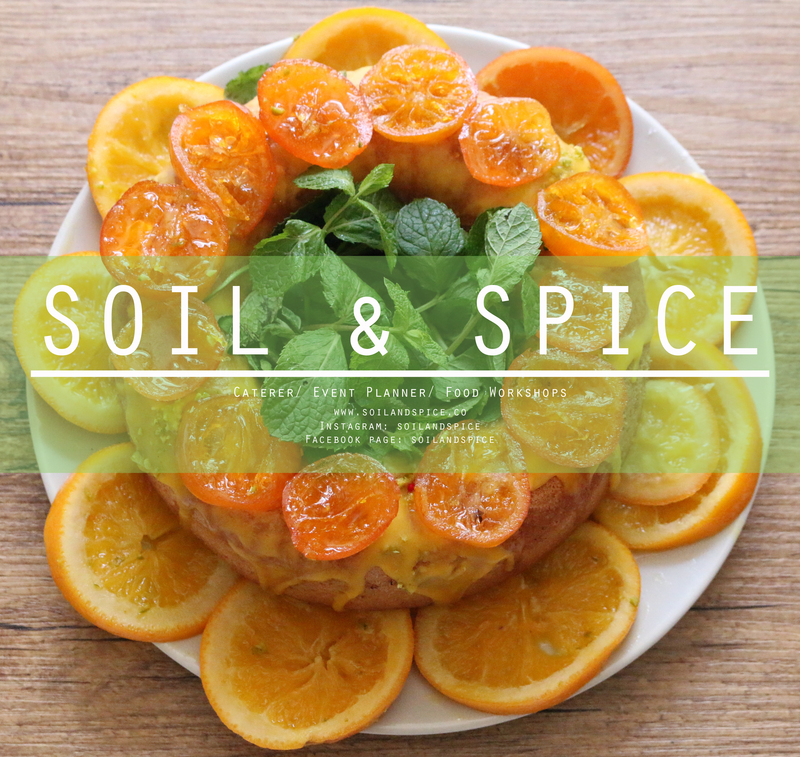 Writing is a pleasure but cooking is an indulgence, Soil and Spice will provide both. Hopefully it will offer you dear reader the same gratification. Previous Post Bonjour tout le monde!